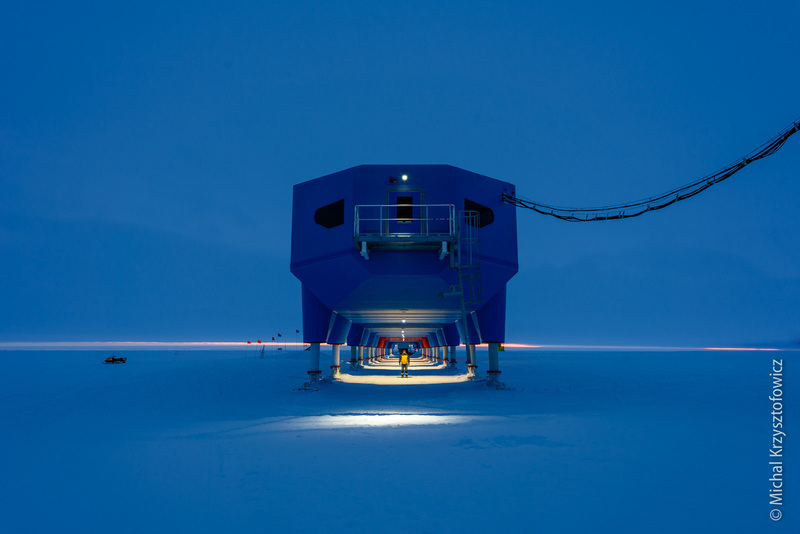 Halley V (UK) on the Brunt Ice Shelf, supported above the ice on jackable legs. While coastal regions in Antarctica experience the melting of snow and ice in the summer months, regions that are further inland often experience no melting at all and so all of the snow and ice that falls accumulates continuously. Bases that are built in such places therefore become slowly buried in the snow and ice. They can also be carried towards the coast if they are sitting on a moving ice shelf. 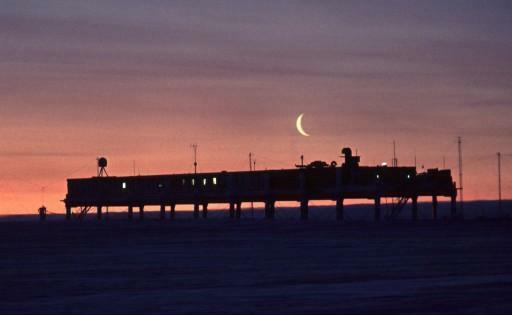 Halley Station is located on the Brunt Ice Shelf at 75°35'S, 26°34'W. 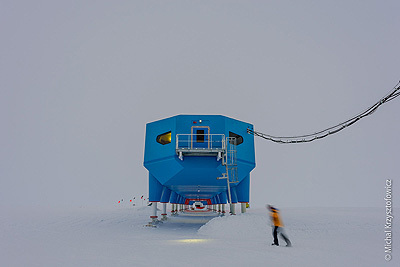 The current station is the 6th - Halley VI - at the approximate same site. A public area on Halley VI, the large window letting in daylight was an undreamt of luxury in the days that the base at Halley was quickly buried in the snow and was without windows. 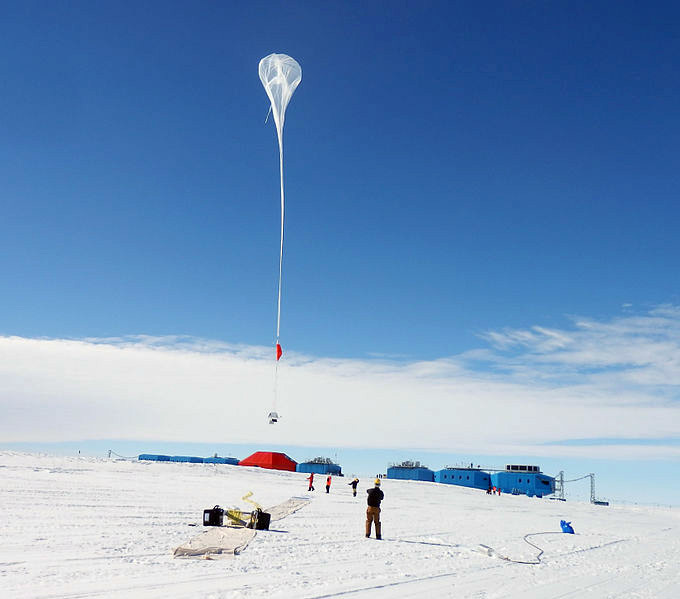 Releasing a total of 20 high altitude balloons from Halley with atmospheric sensors on every day or two in 2013 as part of a NASA experiment. Living underground (under-ice really) meant an odd sort of life, especially in the winter months. In order to see the outside world it was necessary to climb up the access shaft, dress appropriately (lots of clothes) and then get outside where it was dark and fairly featureless - not a lot of incentive to make the effort in other words. Base design - huts on snow surface, became buried over time due to snow build up. This accumulation of snow was anticipated when such bases were built, and in the case of the UK base at Halley Bay first built in 1956, the construction of Halley I was particularly strong to take the weight of the accumulating snow and ice which had almost completely covered the original (conventional hut style) buildings at the end of the first year. The snowfall at Halley accumulates at the rate of around 1.2m (4ft) per year and the ice shelf it is on moves towards the ice edge at about 700m per year. 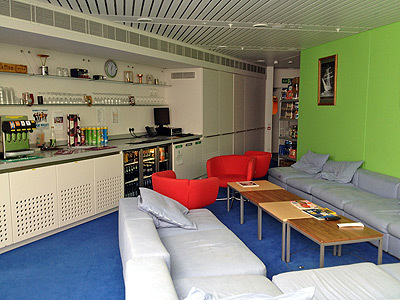 Access was by a regularly dug-out slope down to the doors until it became impossible to keep these clear. At this point access became via a hatch in the roof. 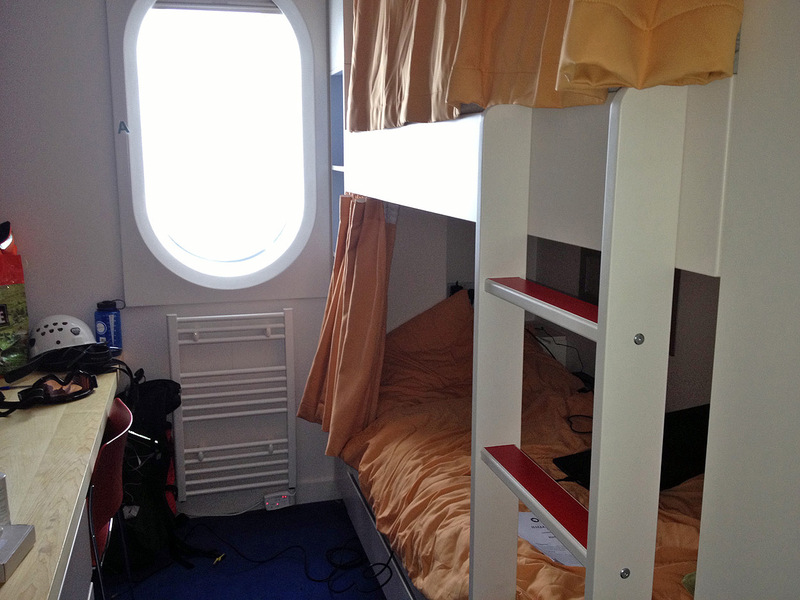 As snow and ice build up continued, so the height of the access hatch increased to reach the surface. Eventually in 1967 after 11 years this first base was abandoned due to a difficulty of access but more importantly as the buildings were being crushed. Parts of the base were 30-40 feet under the surface level at this time. A second base, Halley II was built nearby this time with a strong steel frame to take the weight. Again it was slowly buried and six years later this time had to be replaced again. This time for Halley III strong corrugated steel tubing (Armco) was built as a protector for the more regular wooden base buildings that went inside them, but once again by the time it had been buried 40 feet, 10 years later, it was time to rebuild. 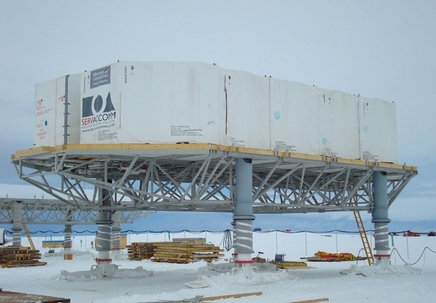 A similar design was chosen for Halley IV, though this time of insulated plywood panels making two large tubes interconnected in an elongated H-shape that would insulate the huts they contained better than the metal had done which gave problems of its own when snow and ice touching the tube in the warmer parts of the base caused melting. This lasted four years and then in 1989 a different approach was attempted. Base design - supported on jackable legs above the snow surface. Rather than a base that would be buried and inevitably lead to its destruction and waste, a base was planned that would be on the surface and stay on the surface. It would be held off the ice surface by legs which would be "jackable" that is they could be jacked up slowly by operating a mechanism similar to a car jack. In this way the base could be kept above the snow as the level grew higher beneath it, all that would be lost would be the metal legs left behind in the ice. Similar solutions had been used successfully on a smaller scale before with cabooses (essentially kitted out shipping containers) being treated this way at Halley. This base, the 5th one at Halley Bay Halley V was started in 1989. It was the most successful base in that it lasted 20 years and led to less frequent disruption from re-builds. In fact it could have had a lifespan longer than this. The reason it was replaced was that as it was situated on a moving ice-shelf, it slowly moved closer to the sea and there was a danger that a large ice break-out could have left it and it's base compliment of scientists and support staff floating on an ice berg. Worse still the station could be situated on a future break-up zone itself and suffer a disastrous loss of the base and possibly of life. Base design - supported on jackable legs above the snow surface, legs placed on skis so that the base can be moved. Work on Halley VI was started in the Austral summer of 2007-2008 with an award winning new design that has the jackable legs of Halley V with the added flexibility of each leg being on a ski. In this case, when the base moves too close to the sea with the drifting ice-shelf, the modules can be detached from each other and towed further inland by tractors. The "pods" are also more flexible in function than previous bases being able to be converted to sleeping accommodation or scientific labs as required. It has been in full use since 2012 and has an anticipated life span of 30-40 years. 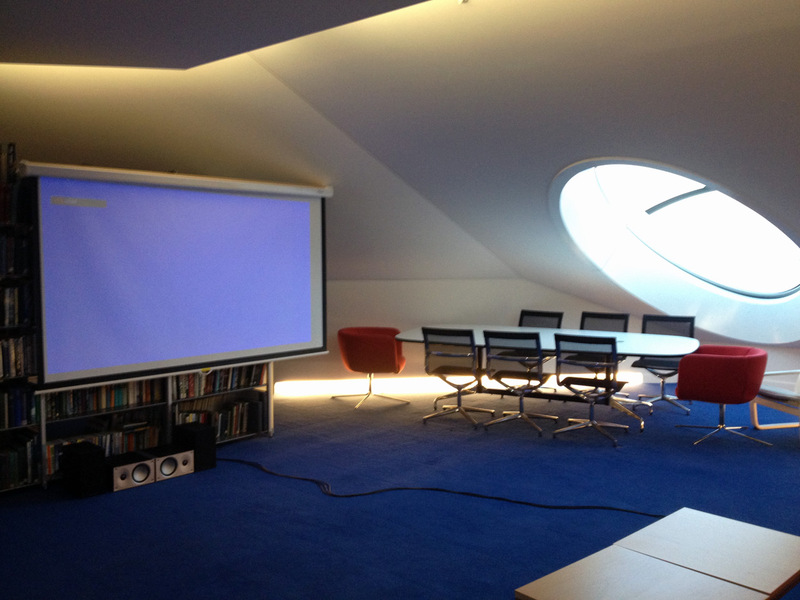 A further advantage of the old base design (Halley V) becomes evident at this point. Previous bases were buried in the ice and flowed with the ice shelf to the coast where they would eventually fall off the end into the sea. 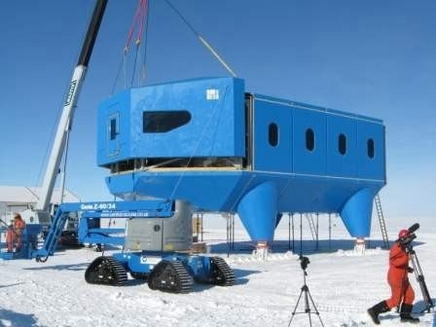 Halley V was broken down and removed from Antarctica leaving hardly any trace of it's presence.